Contact lenses are extremely popular around the world. You might not know it, but millions of people wear contact lenses. Contact lenses are thin, curved lenses that are worn in the eyes. They sit on the film of tears that cover the surface of your eyeball. They are clear but may have a slight tint to them, which makes them easier for wearers to handle. If you’re considering wearing contacts, one of the first things you’ll be asking yourself is: How much are contacts? Before diving into the true purpose of the article and how much contacts cost, you should consider whether contacts are truly the right fit for you. For ages, people have been going through the contacts vs. glasses debate. And many people still question the safety of contacts, even though they are proven to be safe as long as you follow the proper care and hygiene guidelines. Contacts are convenient for active individuals. Contacts don’t get in the way of active gear, such as helmets, like glasses do. Plus, you don’t have to worry about them falling off while you’re working out and possibly breaking. You might benefit from clearer vision. Glasses are at risk of being scratched, fogging up in the rain, or obstructing your peripheral vision. Because contact lenses sit right on the curvature of your eye, they don’t block your view. Plus, they aren’t affected by weather or temperature conditions. You can experiment with different eye colors. Contact lenses are offered in a wide variety of colors, so if you’ve ever had the desire to change your eye color, you have plenty of options. Contacts are often considered more stylish. Unlike glasses, contacts aren’t clunky and offer the ability to showcase your eye makeup. Contacts offer comfort. 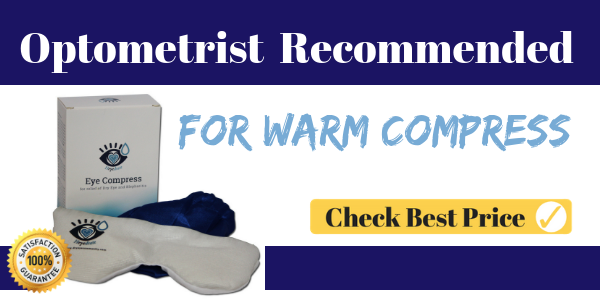 With such a wide variety of contacts that can fit a multitude of prescriptions, you’re bound to find a specific lens that is comfortable for your eyes. Contacts are out of the way. Wearing contacts can make every day moments a lot easier. You can go on amusement park rides without worrying about losing your glasses. You can give your spouse a welcome home kiss without your glasses getting in the way. You won’t have to worry about lens glare in photos, and so forth. How often you plan on replacing your contact lenses. The most common type of contact lenses is a soft disposable contact lens. This type is usually made to be replaced on one of three schedules – once a day, once every two weeks, or once a month. The safest and most convenient option of the three are daily disposables, because you start with a new lens every day and don’t need to clean them. However, they are a little more expensive than those designed to be replaced every two weeks or once a month. If you need to correct astigmatism. People with astigmatism couldn’t wear contacts in the past. However, there are now a wide variety of lenses available to help correct the issues caused by astigmatism. They are often a little more expensive than regular contact lenses. If you need to correct presbyopia or have reading glasses. Around the age of 40, most people begin to use reading glasses due to a slight loss of the ability to focus. In the past, there weren’t any contacts that could correct this issue, so people had to either give up contacts entirely or wear reading glasses over them. However, there are now options for people who need help reading, including bifocal lenses or multifocal lenses. These lenses tend to run at higher prices than those who don’t offer reading correction. Which material you choose. 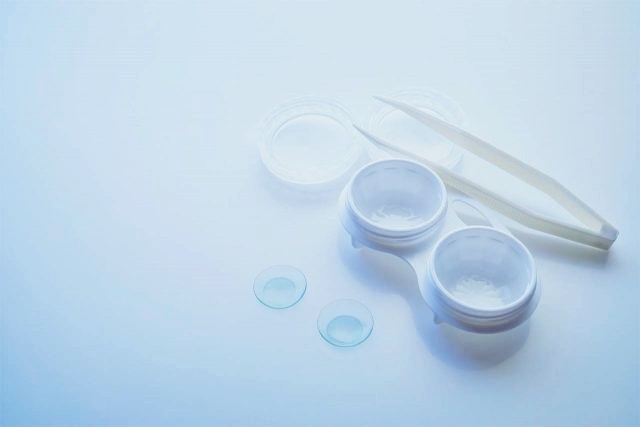 The most common material for soft disposable lenses are made of silicone hydrogel, which allows for oxygen to access the eye and are often considered healthier and more comfortable. However, some lenses come in different materials and may be a better choice for people with dry eyes. Most of the newer and safer designs and materials are more expensive than the older ones. Where you purchase your contact lenses. After your eye doctor prescribes contact lenses, you can purchase your lenses anywhere. Depending on where you buy them, the prices may vary. You can usually choose to buy them from your doctor’s office, a retailer, or online. If you order online, you also want to be aware of shipping costs. If you receive rebates or discounts. Many sellers will offer rebates and discounts throughout the year. Many times, these rebates and discounts are given to those who choose to purchase their contact lenses in bulk. Whether or not you get colored lenses. Colored contacts lenses are often more expensive than non-colored contact lenses. Related: What Is Legally Blind? Can Insurance Cover the Cost of My Contacts? The answer to this question is going to depend on your individual insurance plan and can best be answered by contacting your doctor or insurance provider. However, it is common that vision insurance plans cover the cost of an annual eye exam. Doctors can choose their own fees, but these exams are often somewhere between $50 and $100. The exam is necessary in order to determine what kind of prescription you need. Another fee to consider is the lens fitting fee. This fee is also determined by each individual doctor, so it is hard to estimate. Lens fitting is necessary to examine the physiology of your eye and make sure the contact lens will fit. 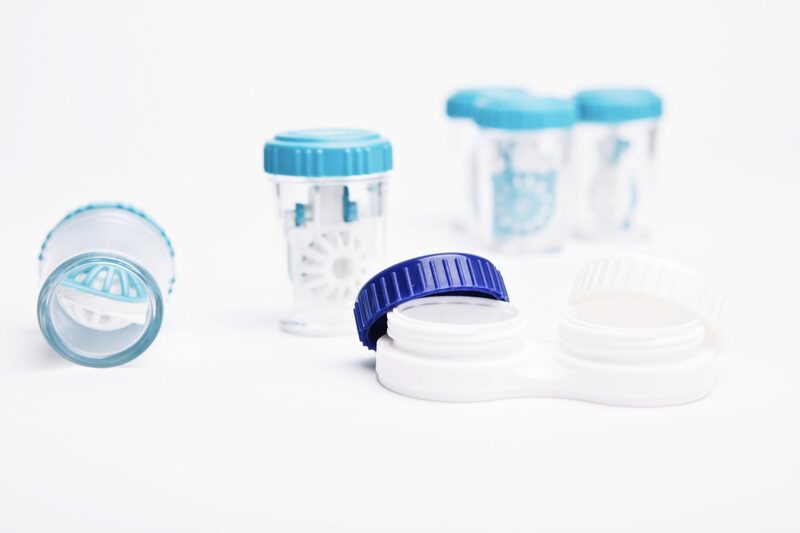 Contact lenses come in all different shapes and sizes, so your doctor will take measurements and test your eyesight to prescribe you the right size. Some insurances cover all of the exam fees, fitting fees, and contact costs. However, as said before, it is best to talk with your doctor, employer, human resources director, or insurance provider to find out. With so many choices on the market for contact lenses, choosing the right ones for you may seem a little daunting. Which ones are best for you depends on why you want to wear them in the first place and what visual impairments require you to wear them. For instance, if you are looking for lenses that will give you sharper vision, you may want to try gas permeable lenses (which are also called RGP or GP lenses). These contacts are hard and polished, so they may offer better quality than soft lenses. Even though they are hard, they still allow oxygen to pass through to your eye. They may take a little while to adjust to but after the adjustment period wearers usually find them to be as comfortable as soft lenses. If you want clearer vision but don’t find hard lenses comfortable, you could opt to use hybrid contact lenses which have the hard center with an outer layer that is soft. This mixes the visual quality of hard lenses with the comfortability of soft lenses. However, many people choose not to use this type of lens, because they can be hard to fit and more expensive to replace than soft lenses. Gas permeable lenses are also good for those with astigmatism, along with toric contact lenses. Toric contact lenses have a feature that helps clear up blurry vision caused by an uneven curvature of the cornea, which is the most common type of astigmatism. This feature includes the use of different powers in different meridians of the lens. If you’re mostly concerned with comfort, you may opt to go with regular soft contact lenses. 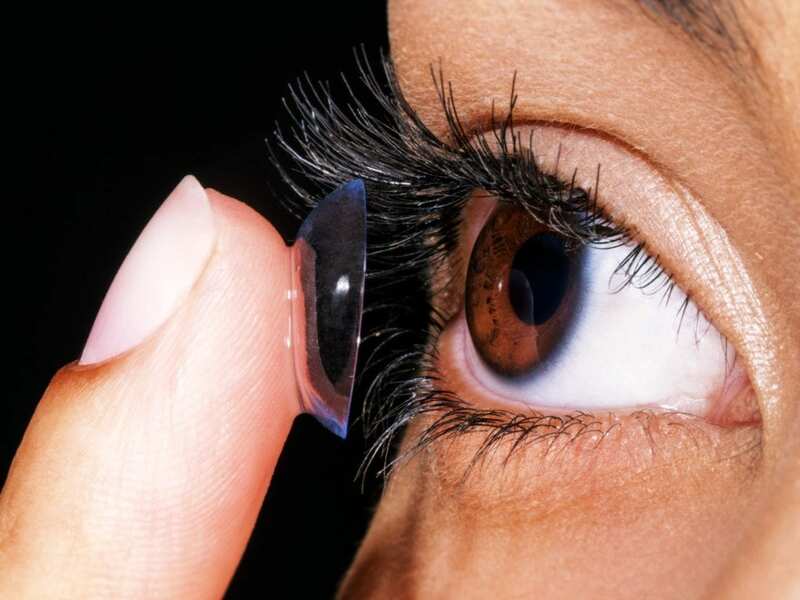 Introduced in the 1970s, soft lenses are made from hydrogels, which are gel-like plastics. They are extremely thin and flexible, so they can easily take on the shape of your eye. These usually are comfortable right away, whereas hard lenses usually take a few weeks before the wearer becomes used to them. In addition, hard lenses have to be worn every day to maintain utmost comfort. So, if you’re only looking to wear contacts every once in a while, you may want to opt for soft lenses. Another concern for many people is the upkeep and additional care that comes with contact lenses. If you don’t want to be bothered with the lens solutions and such, there are daily disposable options. With these lenses, you wear them for only a day and then throw them away. There are also lenses for those who need bifocals or multifocals. These contacts can restore your vision while also getting rid of the need for reading glasses. However, these lenses may not give you the vision you’d hope to get out of them, and you may opt for a monovision solution. In this case, your eye doctor will prescribe you soft lenses with one lens that offers distance vision while the other lens offers near vision. 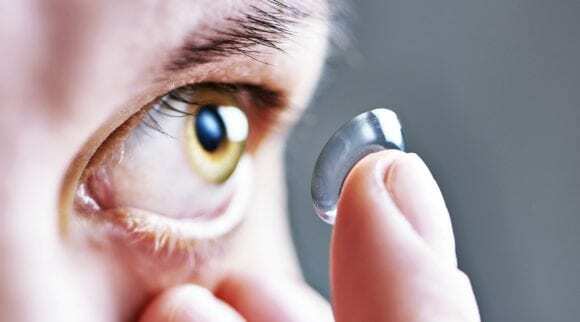 Some people may also need prosthetic contact lenses to correct an eye that may have been disfigured or injured. They can be custom made to match the appearance of the unaffected eye. Overall, you should always schedule an appointment with your eye doctor to determine which contact lens options may be best for you. Even after choosing one, you may want to change your mind after trying them. The size and shape of the lens can only be finalized after you’ve worn the lens for at least a few days. Keep in mind, you may react differently to certain kinds and materials of contact lenses, so follow up visits may be necessary. To sum it up, the cost of your contacts is going to depend on many different factors, including why you need them, the prescription you have, what kind of contacts you choose, and where you get them from. Some other factors can include: whether you receive rebates or discounts, how many you buy at once, and how often you replace them. 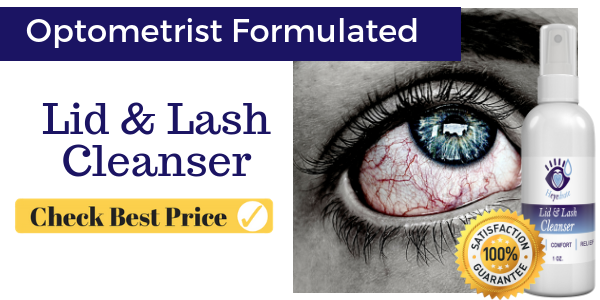 Estimating the cost of basic contact lenses. Because of all of the factors that can affect the price of your contact lenses, it can be a little difficult to give an exact amount of the cost. However, if you are nearsighted and use a popular brand of disposable soft contact lenses, you will probably buy a box of six lenses for $22 to $26. This would amount to around $200 a year if you replace your contacts every two weeks. Estimating the cost of toric lenses. 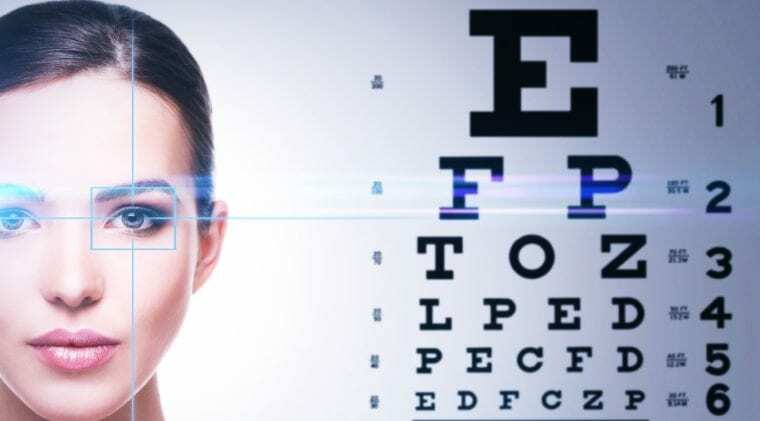 If you have an astigmatism that needs correction, you’re most likely going to be prescribed toric lenses, which are more expensive than regular soft lenses. For a box of six lenses, you’re likely to pay between $50 and $70, which adds up to an annual cost of at least $400, if you replace them every two weeks. However, some eye doctors will recommend replacing them less frequently, depending on the brand. Estimating the cost of colored contacts. Purchasing contact lenses that are meant to enhance or change your eye color is going to be more expensive than regular soft contact lenses. 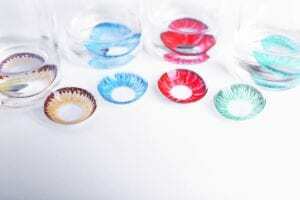 You may end up spending about 70 to 80 percent more (somewhere between $37 and $47 for a box of six lenses) for colored contacts vs. non-colored lenses. Estimating the cost of costume contacts. Costume contacts (also called special-effect contacts, theatrical contacts, or gothic contact lenses) can be used for special occasions, such as Halloween. However, they are usually much more expensive than regular contact lenses, ranging anywhere from $50 to over $200 per lens. Please be aware that you still need a prescription to get costume contacts, even if you don’t have a visual impairment that requires the use of contact lenses. Estimating the cost of bifocal lenses. If you are over the age of 40 or need to correct the effects of presbyopia, your doctor may recommend using disposable multifocal lenses. These contact lenses can have a similar cost to that of toric lenses – between $50 and $70 for a box of six lenses, which gives you an annual cost of at least $400 if you replace them every two weeks. Estimating the cost of disposable contact lenses. Because these lenses are meant to be thrown away after one day of use, you will have to buy more lenses. They are usually sold in boxes of 30 for around $20 to $30, which can give you an annual cost of $480 to $720. However, many companies give rebates and discounts if you purchase in bulk, meaning you may be able to bring your cost down to around $1 a day or less. Estimating the cost of extended wear contact lenses. Each box of six extended wear silicone hydrogel contact lenses typically run from $50 to $70. Silicone hydrogel lenses are a newer type of soft lens that allows more oxygen to reach the eye. They are now the most prescribed type of contact lens in the United States. You may need about four or five of these boxes in a year if you lose or damage some or don’t wear them for the full 30 days, making your annual cost between $250 and $300. Estimating the cost of gas permeable contact lenses. Gas permeable contact lenses are custom-made for each patient, so estimating the cost is very difficult. A single pair of them is often much more expensive than for a pair of soft contact lenses. However, they may last you up to a year or more, so the annual cost is likely to be comparable to that of soft contact lenses. Estimating the cost of custom contacts. 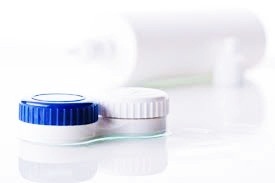 Both gas permeable contact lenses and soft contact lenses can be customized for patients. Custom contacts are often prescribed by eye doctors for patients who have vision issues from keratoconus to other corneal disorders. Custom contacts can be much more expensive than generic contact lenses. Adding the cost of lens solutions. Contacts come with additional care, so don’t forget to add in the cost of lens solution that you will use to clean your contact lenses. 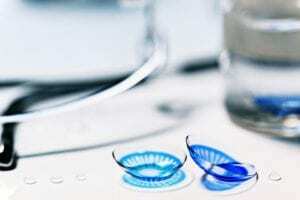 If you wear contacts every day and clean them after each use, your annual cost for lens solutions may be around $150 to $200 – on the very high end. One exception would be if you wear daily disposable contacts, which you don’t need to clean. However, it’s still good to keep a bottle of solution on hand just in case. Depending on your prescription and need for contact lenses, you may need to do some research to find your best option for where to buy your contact lenses. When you’re doing this research, it is best to ignore any rumors you’ve heard about which is the best source for buying your contact lenses. You should do research using different online and offline sources. When doing your research, you might also want to focus more on value than price. Many times, when you’re purchasing contact lenses, there may be additional products and services that go along with them. Some important factors to consider are availability, customer service, convenience, product and service bundles, and price. Also, be aware that you should probably hold off on doing research until you’ve received your prescription as not all contact sellers will have the kind you need. You should also consider whether or not your insurance covers contacts sold through specific sellers. Many insurances offer a discount at participating retailers and doctor offices, so purchasing from your doctor may be your best bet. The price of contact lenses sold at doctors’ offices, optical chains, or mass retailers may vary widely, but they may not be as expensive as most people think. Some advantages of buying from a doctor’s office, optical chain, or mass retailer include knowing the availability up front, no shipping charges, ordering contacts online with the option of picking them up in person, freebies such as lens cases and solutions, and easy service. If you decide to buy contacts online, you may be able to find them at better prices than in-store retailers or at your doctor’s office. Several websites make it extremely easy to compare prices of multiple sellers. However, be sure to pay attention to any shipping and handling costs and if you can use your insurance. One major inconvenience for many people is that they may take up to one to two weeks for shipping. The contact lenses you need are more likely to be in stock if you shop online through a large seller rather than a smaller company. Getting custom lenses through online retailers may also be more difficult. Always make sure to purchase your contacts from a website that requires a current contact prescription, as this is required by federal law. Before sending you off to go buy some new contact lenses, we wanted to leave you with some important instructions on how to take care of your contacts. Taking care of and properly maintaining your contact lenses is important to your eye health, as well as your overall comfort. Stick to your replacement schedule. Each type of contact lens is made to be replaced after a certain amount of time. Make sure to replace your contact lenses according to the replacement schedule and directions given to you by your doctor. Make sure your hands are clean when handling your contact lenses. Your hands should be clean and free from foreign substances when handling your contacts. It is best to use a mild soap and make sure to rinse completely. You can dry your hands with a clean, lint-free towel. Also, be sure to avoid the use of lotions, creams, or cosmetics before handling your contacts. You may also want to consider having your nails short and smooth, so when you are holding your lenses on your fingertips, they do not get scratched. Always use a proper lens care solution. Do not use your saliva or anything else that is not the proper solution to moisten your contact lenses. You also shouldn’t use tap water, because it contains impurities that can cause damage to your contact lenses. Plus, you could accidentally drop the lens down the drain. Also, stay away from pure saline, as this contains nothing to kill bacteria. Establish a routine. Having a routine that outlines which lens you clean first may be helpful, so that you can always know that you cleaned both lenses before storing them. Make sure to use proper storing methods. You should always completely refill your storage case with new solution instead of adding to what is already in the case. When you take your lenses out, empty and rinse out your storage case and let it air dry. Follow the instructions on your lens care solution. Make sure to use fresh, unexpired lens care solution. The instruction on the solution labeling is the best way to know how to clean your contact lenses. Do not mix solutions together and be aware that not all solutions are meant to be used with all lenses. How much do contacts cost? This is often one of the very first things people question when considering wearing contact lenses. And, unfortunately, it can often be a difficult question to answer. Trying to estimate the cost of contact lenses is like trying to estimate the cost of shoes. Obviously, the cost of shoes will vary widely and depend on many different factors such as the quality and material, how long you’ll have them before replacing them, where you buy them and the company’s reputation, as well as what they will be used for. It is often a similar situation with contact lenses. There are so many different factors that affect the cost that answering the question, “How much do contacts cost?” can be hard. To get the best answer for you, we recommend sitting down with your eye doctor to discuss your specific needs and budget.